April’s “Welcome to Our World” (W.O.W.) 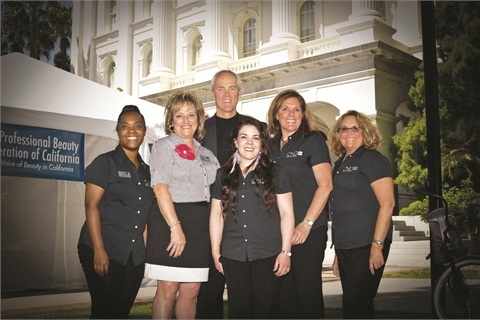 lobbying event in Sacramento, Calif., is the beauty industry’s showcase for state legislators and regulators. 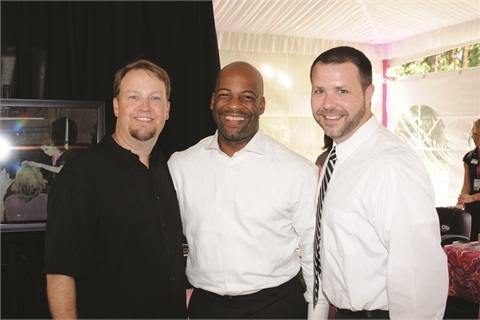 This year there were over 250 individual services performed on policymakers, regulators, and staffers by more than 40 beauty professionals who volunteered their time and expertise to showcase the world of beauty. The event took place on the south steps of the California State Capitol Building. The Professional Beauty Federation of California (PBFC) and its industry sponsors had the opportunity to discuss the opportunities and challenges facing our industry in California, particularly policy and regulatory issues that need to be addressed by our elected and appointed leaders. As most of the laws governing beauty are set at the state level, this kind of communication is considered vital. Among WOW’s sponsors this year were CND, OPI, Marinello Schools of Beauty, and Cengage/Milady Publishing. To learn more about PBFC’s accomplishments and goals, visit the PBFC website at www.beautyfederation.org.